The announcement was made on Saturday, 5 May 2018. Meanwhile, the S&P BSE Sensex was up 115.07 points or 0.33% at 35,030.45. On the BSE, 31.12 lakh shares were traded on the counter so far as against the average daily volumes of 79 lakh shares in the past two weeks.  The stock had hit a high of Rs 214.90 and a low of Rs 192 so far during the day. The stock had hit a record high of Rs 600.65 on 16 January 2018. The stock had hit a 52-week low of Rs 95.05 on 3 May 2018. Earlier, PC Jeweller had on 29 April 2018 announced that it the company has scheduled a board meeting on 25 May 2018 to consider the proposal for buy back of fully paid-up equity shares of the company. PC Jeweller's net profit rose 52.1% to Rs 162.71 crore on 25.63% rise in net sales to Rs 2644.89 crore in Q3 December 2017 over Q3 December 2016. 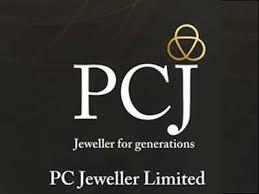 PC Jeweller is one of the leading jewellery companies in India in the organized jewellery retail sector.